Possibly to be placed in the “What Was Your First Hint?” file, the perpetually vacationing Barack Obama admitted that Marines make him “feel small”. And Obama has good reason to feel insecure. While attending meetings in Poland during the summer of 2014, candid video was leaked to the press of Obama hitting the gym. Well, maybe not hitting the gym… swishing would be more apt. Doing his best Pee-Wee Herman imitation, America’s Commander-in-Chief was seen grimacing while working out with girl’s 10-pound weights. 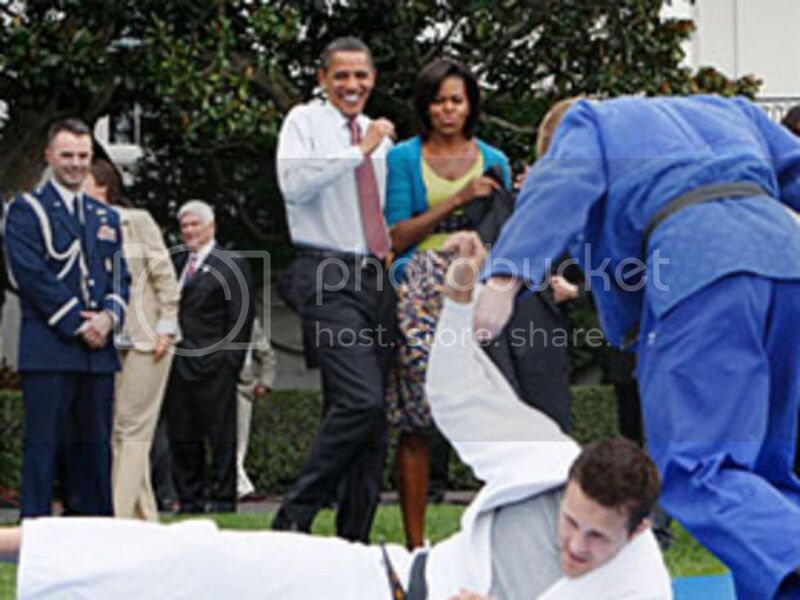 Possibly not into his workout, Obama was also seen yawning in-between sets. Yes, it’s that time for the obligatory Christmas posting. So with tongue firmly placed in cheek, I certainly hope you enjoy my somewhat irreverent take on The Twelve Days of Christmas. Shaima Qassem Abdulrahman, Miss Iraq 2016. In what could possibly be described as being pantsed in front of the entire planet, the host of the Miss Universe pageant massively screwed-up by announcing the wrong contestant as the winner. So the Secretary of Defense has given the thumbs up to women being assigned to the Combat Arms MOSs. Of course, on the orders of the interloping Kenyan terrorist enabler. The United Nations has long rubbed small government advocates the wrong way due to their obvious goal of aggressively pushing for a One World Government. Despite seeing to dismantle any shred of sovereignty or the right of self-determination to the people of the world, the same controlling world body is showing its more religious side as of late. But as it turns out the same global authority organization seeks not only to control the planet, but also to push for the worship of the same. In what his political foes may describe as a prime example of double-talk, Barack Obama has given an apocalyptic vision of the things to come due to his belief that humanity has played a key role in climate change.